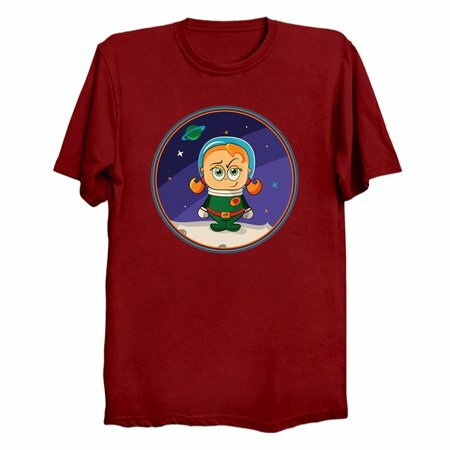 A precosious little astronaut conquers the moon. 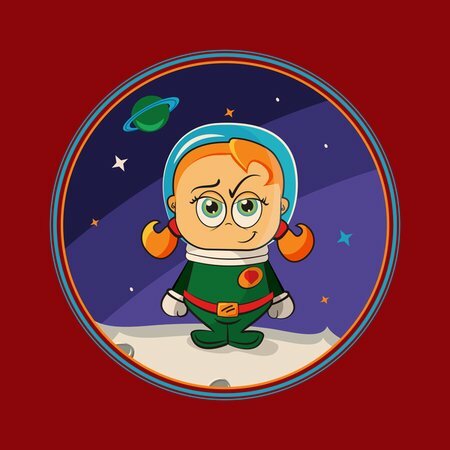 This illustration features a little girl with pigtails in a space suit standing on the moon with stars and a planet in the background. The retro style line work and pallete are remeniscent of the old Hanna-Barbera cartoons of the 60s.